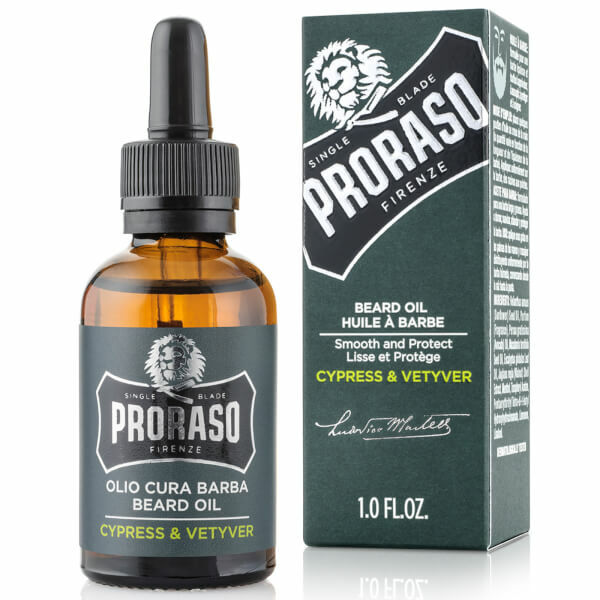 The Cypress and Vetyver Beard Oil is a rich, daily treatment to help tame facial hair from Italian-based grooming brand, Proraso. Formulated with nourishing essential oils and powerful natural extracts, the oil helps condition and hydrate hair, creating a softer texture and enhancing regrowth capabilities. 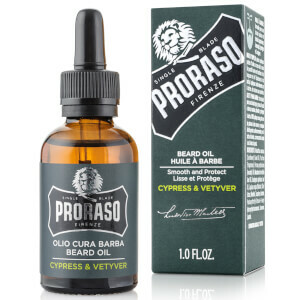 Suitable for use on stubble as well as fully grown beards, it imparts a rich, earthy scent of Cypress, Cedarwood and Vetiver with a fresh hint of Bergamot. Apply a few drops onto your palm (the amount varies depending on the fullness, length and structure of your beard). Distribute evenly over the beard, starting from the base of the hair to the tips. Brush carefully and gently to untangle any knots.